Recruiters in the highly competitive learning market need a reliable modern-day eLearning job leads system. Find out how to create one that provides a steady supply of quality candidates and leads. As a recruiter, it’s not enough to know that you have eLearning jobs to fill. Without a pipeline of quality talent, something that can be incredibly difficult to accomplish, you may find yourself in serious trouble. So too, not having ongoing eLearning job leads to fill can be a real problem for a recruiter. 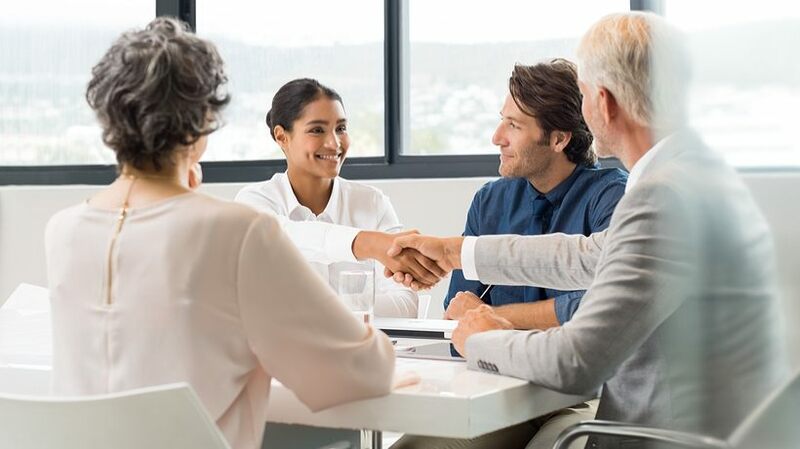 One must always have their ear to the ground, connecting with new clients, and matching great candidates with equally great assignments. Applicant tracking systems are so yesterday. And you can forget general job boards that are going the way of the dinosaur. Even social media networks can be virtual wastelands where no decent eLearning candidates are to be found. Top eLearning recruiters understand that they must think and do things like marketing professionals, mimicking their systems for attracting candidates and keeping them on the ready for when the right job requisition comes along. They also must have a way to attract potential clients, track job reqs, and report on their success rates. To excel in eLearning recruitment, it’s all about the conversion from casual passersby to client or applicant. A job leads system for the eLearning market is unique, because it speaks directly to clients and to the candidates who are serious about their careers. It’s got to appeal to people who are passionate about learning and everything about it. An eLearning job leads system that can speak the language, while providing valuable insight and resources is well worth the effort to build. David Ogilvy, otherwise known as the “Father of modern day marketing” was once quoted as saying “Hire people who are better than you are, then leave them to get on with it. Look for people who will aim for the remarkable, who will not settle for the routine.” These words ring as true today as they did decades ago. If you are aiming for working with the best eLearning talent and clientele, then you need to use a job leads system that caters to the top candidates and clients. It’s that simple. It may appear complex to develop a job leads system for recruiting eLearning talent, but in reality it can be accomplished with some best practices. Here are some tips for recruiters who find themselves in the trenches currently. Your job is to get out there and ask lots of questions. Some of the things you need to find out include: What companies are hiring currently or who might be expanding operations. You also want to find out who won any major contracts. Read through press releases and other news items to see if anyone in your network has gotten good press and they're ready for an opportunity. Also, evaluate any news of a company that is downsizing or having legal problems. If you want to know what's happening in your industry and want to stay ahead of the competition, then it is a must that you ask plenty of good questions and show real interest in people that you're speaking with. It’s not enough to have a social media presence anymore, although Lisa Jones gives some great tips for generating job leads on LinkedIn. The best eLearning job leads are provided by word-of-mouth and referrals from both employees and former clients. This means a recruiter needs to be everywhere to be discovered. One must think like a potential candidate – where will he or she be spending time looking for great career opportunities? Are there popular websites or news sources or eLearning job leads that are more frequented? What about niche communities and job lead systems in the eLearning market? This is where a smart recruiter will get noticed by both candidates and clientele. 3. Make Good Use Of Your Connections. Everyone you meet plays a role in your success as an eLearning recruiter. The connections you make in this business can lead you to new business as well as outstanding eLearning professionals who are ripe for a job change. An eLearning job leads system makes the most of these connections because it helps gather all into one central directory for future follow-ups. Get more from your connections too. “Using a straightforward approach helps”, says Mark Whitby, The Recruitment Coach. He adds that it’s good to ask employers how you can develop a strategic partnership with them so they will use your services exclusively. So too, ask candidates if you think you can reach out to their former places of employment and use them as a reference. eLearning recruitment pros must be ever-mindful of what the competition is doing. A positive job leads system should have reporting capabilities so that recruiters can spot any trends happening in the market. Watch for dips in candidate cycles that could indicate a competitor is openly advertising new eLearning jobs on their platform. Watch for salary trends by using real-time salary tools. Maintain a watchful eye on your clients and survey them often for satisfaction levels over the candidates you’ve placed and the quality of work they produce. Touch base with new hires at 30, 60, and 90 days to find out if they are finding happiness in their new role and if they have some colleagues to refer to you. As a recruiter in the highly competitive eLearning market, it’s up to you to be the best-of-the-best with a strong eLearning job leads system. This can help facilitate many of the above tasks, while giving you a key advantage over your competition.